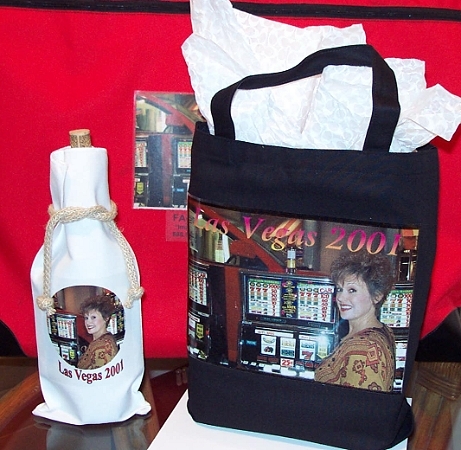 Photo Bottle Bag and Tote. The perfect combination gift. Savour that magic moment with a photo bottle bag and photo tote bag. The tote bags come in a variety colors and are a perfect lasting momento of that Graduation, Anniversary, Wedding, Birthday or other special event.